Use the links below to visit our favourite sites. 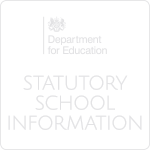 Dyslexia Action A national charity with 40 years’ experience in providing support with literacy and numeracy, dyslexia and other specific learning difficulties. British Dyslexia Association The BDA aim to influence government and other institutions to promote a dyslexia friendly society, that enables dyslexic people of all ages to reach their full potential. National Autistic Society The NAS is the leading UK charity for autistic people (including those with Asperger syndrome) and their families. Dyspraxia Foundation The Dyspraxia Foundation is a country Wide charity, founded in 1987 as the Dyspraxia Trust. ADHD Foundation Works in partnership with individuals, families, doctors, teachers and other agencies to improving emotional well being, educational attainment, behaviour and life chances through better understanding and self management of ADHD, ASD and related learning difficulties such as dyslexia, dyspraxia, Irlen's Syndrome, dyscalculia and Tourette's Syndrome. 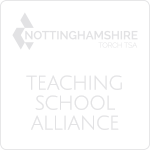 Nottingham City Council The Special Educational Needs (SEN) team works closely with parents, schools, Children's and Families colleagues and Health Services to ensure that children and young people with SEN get the most out of their school life and maximise their achievements. 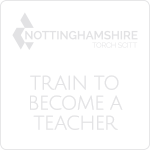 Nottinghamshire County Council Nottinghamshire provides a wide range of support to children and young people with special educational needs and disabilities aged 0-25 and their families. This is achieved by working in partnership with parents, carers, children, schools and other agencies such as health, social care and the voluntary sector. Bitesize GCSE learning resources for adults, children, parents and teachers. National Numeracy Trust National Numeracy is an independent charity established in 2012 to help raise low levels of numeracy among both adults and children and to promote the importance of everyday maths skills. National Literacy Trust We work to improve the reading, writing, speaking and listening skills in the UK's most disadvantaged communities, where up to 40 per cent of people have literacy problems.